Defensive driving doesn’t mean driving like a grandma. It means driving like a master of mindfulness. It means having the skills and the smarts to identify potential problems on the road and smoothly avoid them. Follow these defensive driving tips to ensure a safe experience for you, your passengers, and everyone around you. Some people define defensive driving as a set of skills and techniques you can use to drive safely and avoid accidents. Others describe it with the acronym IPDE — “identify, predict, decide and execute”. Many people have their own idea of what defensive driving really is but ultimately it is driving with respect to yourself, others, and your surroundings. It reduces risk and prevents accidents. We’ll review some helpful tips that every driver should incorporate into their everyday driving routine. Constantly scan the road. Don’t let your gaze become fixed on the car ahead of you or become distracted by passengers in your car. Always scan the road ahead, as well as behind and beside you. If you’re more aware of the vehicles around you, you’ll be less likely to cause an accident. Keep in mind that if you’re going 65 mph on dry, level pavement, your average stopping distance is 344 feet. That’s a long way. If it’s raining or snowing, or if your car is carrying a heavy load and might take longer to stop, add even more space. Protect the space around your car. This defensive driving technique is called maintaining a “space cushion,” which sounds like something an astronaut sits on. It means always having an out. If you can keep space in front of you and to the side, then you’ll have somewhere to go in case of sudden braking or a collision around you. Control your emotions. Defensive driving also requires you to rise above your impulses. If someone else cuts you off, swerves into your lane, or otherwise screws up, don’t get mad. Instead, let it go and give yourself a high five. Your superior driver safety techniques prevented a crash. You’re amazing. Avoid driving aggressively. Do you feel like you’re the only good driver on the road? Does it seem like nobody on the highway has a clue about what they are doing? Maybe you’re irritated over the guy who cut you off while talking on his cell phone? We understand your frustration, but it’s important not to let your anger get out of control. Learn what the signs of aggressive driving are below. 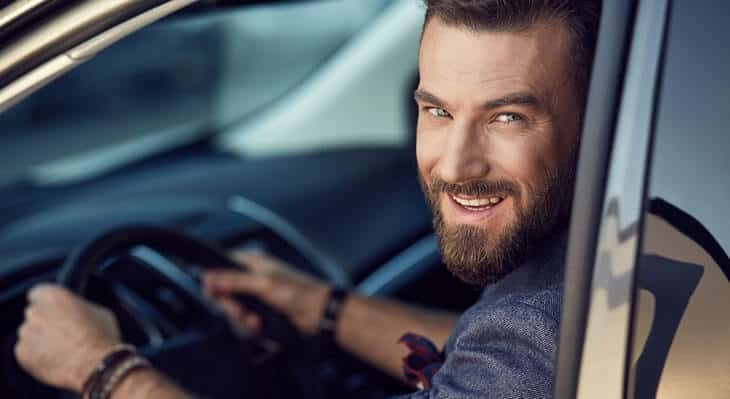 Often, we use the term “road rage” inter-changeably with aggressive driving; however, there is a big difference between the two. According to the National Highway Traffic Safety Administration, road rage “describes the angry and violent behaviors at the extreme of the aggressive driving continuum… and is a criminal offense”. Have you noticed your driving exhibiting signs of road rage? If you have found yourself building anger as you drive and putting others around you at risk, its time to make a change. Follow these tips to help make the roads a safer place for everyone. Control what you listen to in your car: Studies have shown that what you listen to while you drive, makes you drive differently. If you know that your route is stressful, try some classical music or an audiobook instead of your usual thrash metal. Take a deep breath: You’ve probably heard this one before, but it’s still good advice. A couple of deep breaths do actually help calm you down. Plan ahead: We often become frustrated while driving because we’re in a hurry. Don’t rush. Plan your day so that you leave with plenty of time to get where you’re going. Find a new route: Look for alternative routes that are quieter and less traveled. The reduced amount of traffic could help make your commute more enjoyable and stress-free. At the end of the day, is really worth putting others in risk just to prove a point. Stop driving like a child and take control of your emotions! If you are going on a longer road trip, especially out of state, it’s always a good idea to review local and out-of-state driving laws. Make sure to check each state’s DMV website for specific state laws. Be proactive, and consider taking a defensive driving course. You can also lower your insurance rates by voluntarily taking a defensive driving course. Of course, if you just want to reduce your auto insurance premiums, you can always compare quotes from multiple companies with our car insurance rate comparison tool. If you need help controlling your driving habits or would like to learn more check out some of our resources below. The National Safety Council offers defensive driving classes nationwide, including online. Find a class near you. teenSMART is an online driver safety course for teens that says it’s proven to reduce crashes. It costs $120, but some insurers may offer discounts for teens who complete the course. The AARP Smart Driver Course is a defensive driving class designed for drivers age 50 and older. Find a class near you. Thousands of people die every year because of small mistakes that could have been prevented. By practicing safe defensive driving techniques and being more aware behind the wheel, you can help reduce risk on the road and maybe even save a life.